This theme has 8 HD (1920*1080) photos of cats in all of their glorious cuteness. This theme was made possible by…some Glow dude I can’t remember the name of and I stole the icons from xdarkgeox who stole them from the Sniper Girl theme. Aren’t we all just thieves? 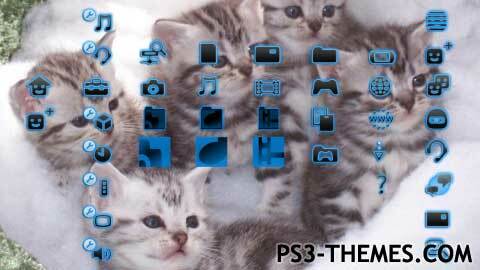 This theme was posted by PS3 Themes on May 15, 2016 at 2:04 pm, and is filed under Animals/Nature, Slideshow Themes.